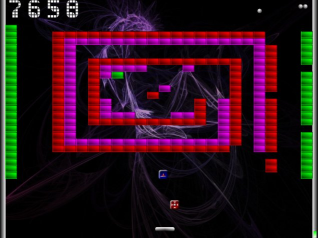 A DX-Ball/MegaBall/Breakout clone using OpenGL (OpenGLES on the Pandora). d-pad / left nub / touchscreen to move paddle. For more read the included docs.